Herman Miller Reaction chairs – Over 2,000 in stock lots of colors, see below. Full function with pneumatic height adjustment, height adjustable arms, height adjustable seat back, tilt-lock and tilt tension. 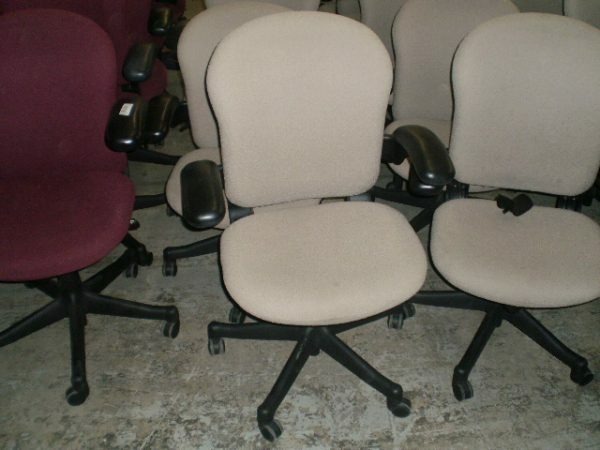 These chairs have a 5-star base with casters that work on carpet and tile. All chairs are in good as-is condition. You can purchase them as-is or we can clean and bag them so they are ready to use.